Get the Full StoryBloody Elbow is the place to be for live results and full play-by-play of Bellator 202 from Thackerville, OK.
Join us tonight on Bloody Elbow for live results, streaming video prelims and detailed play-by-play as Bellator 202 comes to the WinStar Casino in Thackerville, OK. 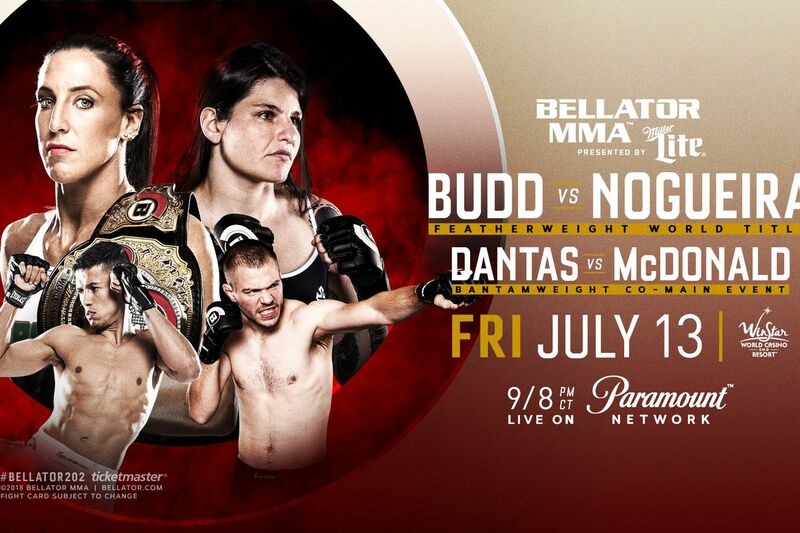 The headliner will see Bellator women s featherweight champion Julia Budd put her belt on the line for the second time when she meets Talita Nogueira. The co-main comes in the bantamweight division, with former champ Eduardo Dantas taking on former UFC title challenger Michael McDonald. You can watch all of the prelim action starting at 7pm ET 4pm PT by viewing the video stream at the top of the page. Things then move to Spike TV for the four-fight main card at 9pm ET 6pm ET. Join us and let us know what you think of tonight s fights.